Nine got the win, but that was nothing much to brag about on a weak night all round. 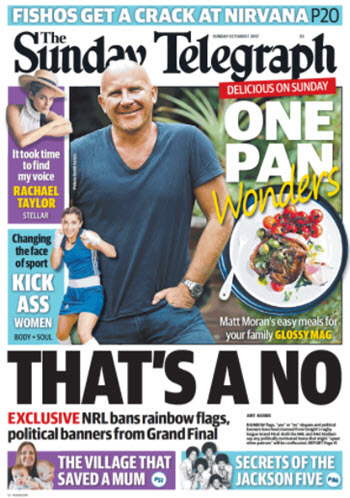 Did you hear that the NRL banned rainbow flags from the grand final? You might have, but it's not true. The AFL wins the overall weekend battle of the Grand Finals, while the NRL dominates the regional areas. Seven CEO Tim Worner says sports broadcasting is at a "tipping point" in Australia, but new online invaders Amazon and Netflix are just following Murdoch's lead. Foxtel reports poor performance with slumping advertiser numbers, and the effects of channel Ten's administration. NRL got underway to solid figures, while 7.30 continues to improve and Newton's Law continues to struggle. Crikey readers discuss Friday's edition. 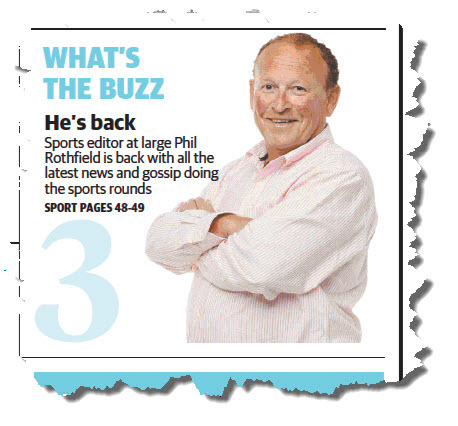 News Corp finds no evidence of Rothfield "compromised the integrity of his reporting", Michael Miller says.